In addition, we also got the first teaser for the film. Disney hasn’t released a whole lot of details about the exact plot of the new film but we should hear more in the coming months. The film will be the last entry in the Skywalker saga and end of the sequel trilogy which started with Star Wars: The Force Awakens in 2015. J.J. Abrams will be in the director’s chair for Episode IX and co-writer for the film alongside Chris Terrio. Daisy Ridley (Rey), Adam Driver (Kylo Ren), John Boyega (Finn), Oscar Isaac (Poe), Lupita Nyong’o (Maz), Domhnall Gleeson (Hux), Kelly Marie Tran (Rose), Joonas Suotamo (Chewbacca), and Billie Lourd (Ko Connix) will all be reprising their roles. The will then be joined by Naomi Ackie, Richard E. Grant, and Keri Russell. Mark Hamill (Luke Skywalker), Anthony Daniels (C-3PO) will be returning along with Billy Dee Williams reprising his role as Lando Calrissian. Even though Carrie Fisher had passed away in December 2016, she’ll still be in Episode IX as Leia Organa, using previously unreleased footage from Star Wars: The Force Awakens. John Williams will be back once again to score Episode IX. The film is produced by Kathleen Kennedy, J.J. Abrams and Michelle Rejwan with Callum Green and Jason McGatlin as executive producers. The rest of the film’s crew includes Dan Mindel (Director of Photography), Rick Carter and Kevin Jenkins (Co-Production Designers), Michael Kaplan (Costume Designer), Neal Scanlan (Creature and Droid FX), Maryann Brandon and Stefan Grube (Editors), Roger Guyett (VFX Supervisor), Tommy Gormley (1st AD), and Victoria Mahoney (2nd Unit Director). 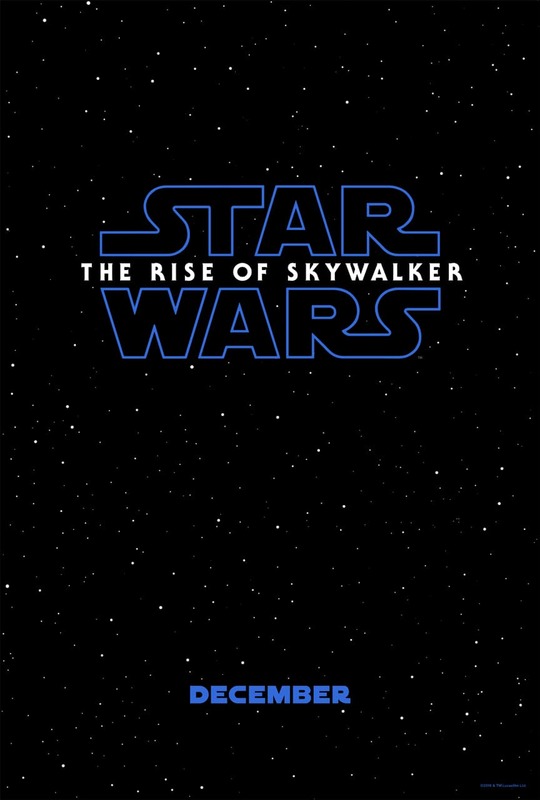 Star Wars: The Rise of Skywalker will be released on December 20th, 2019.